The major upgrade of the Brussels Airport freight village Brucargo is well on track, causing a lot of relocation and the occasional jostle. The work is indispensable in order to sustain competitiveness over the long term. Brucargo ranks among the oldest air cargo sites in Europe. It was inaugurated in 1979 and was expanded further over the years. In between this expansion programme Brussels Airport Company (BAC) has launched a phased renovation project of the oldest plots. Even the ‘mother’ building 706 is undergoing a thorough renovation, with floors 5 and 7 totally refurbished and floor 6 to be finished in a few weeks’ time. Thanks to a contract with a new catering company the building will in 2016– again – house a restaurant. Buildings 734 and 739 have also been refurbished. Within a few weeks Gosselin, at present a tenant of 739, will move to 734, while ‘734’-based Yusen Logistics and Yamato Europe will move the other way. The new multi-tenant building 729, developed by Futurn Air NV, has accommodated BDP International as well as SGS since the end of April. This July they will be followed by Kintetsu World Expres. 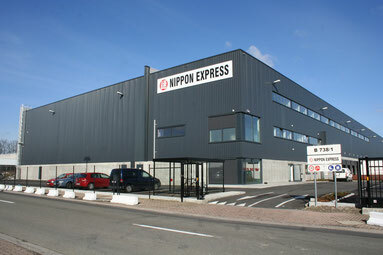 Later this year Brucor, the developer of building 738 now occupied by Nippon Express, is to start construction of another new building, 738, for two future tenants. TBAC is also planning new tenders to real estate investors before the end of the year. The outdated buildings on plots 732 and 742 are facing demolition. Operator BAC is currently negotiating with future investors and prospective tenants for a new location. New leases were contracted in building 705, for G4S Cargo Solutions, LVW Transport and DAS Logistics. In 706 Euro Cargo Aviation and Nallian moved in. Forwarding agent Dachser and Express firm Sovereign Speed took up space in 740, ACS in 722 and Transport Vandervlies and Loca Fast on plot 745. Vacant space is still available in 706, 600 m² of warehouse, 740, 50 m² of office space and 706 (spaces from 22 up to 100 m²). Interested parties should make themselves known!